I worked in the clinic here in Port-au-Prince on Saturday morning. I worked with a Haitian lady (who speaks about 20 english words ) in the Pharmacy. I had a good time. I got to practice my Creole, and learn some new medicines. For example, Cloroquine is a medicine given to treat malaria. We don’t have malaria in the US so I didn’t know the correct dosages or side effects. I found out that most of the other meds are pretty much the same except the names or pronounciations are different. So it’s just taking some adjustment to what I am used to. 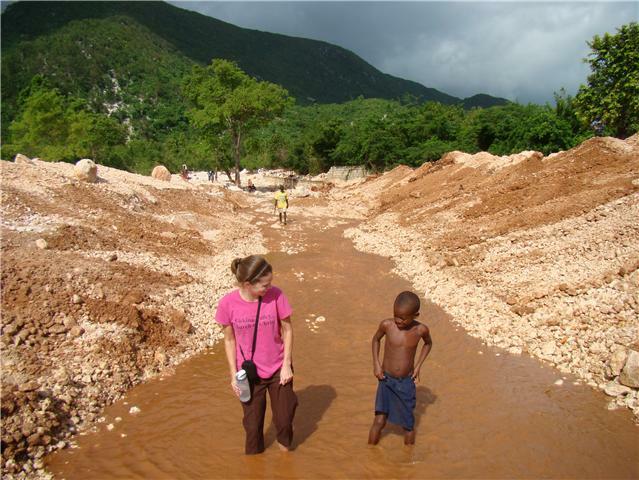 I worked with 2 of the same Haitian doctors that I worked with when I was here in September. They remembered me-I’m still not sure if that’s a good thing or bad thing. I’ve met some interesting people staying here at the guest house. I have become friends with am American Doctor and her husband who is a pastor. They are my age and have been here about 2 months already so it’s been nice to have people who know what the culture shock is like to talk to. Well this is a short one but I am working with an American construction team this week and still don't feel good so I'll write more soon! Wonder if it has something to do with working in the pharmacy when sick people are coming to get medicine? At least its a cold and not malaria right? Stay away from that! Is it Groundhog Day yet? Winter is about to get ugly again. Well its been two weeks and you are already speaking some of the language. Very good! I am glad to hear that you had a safe trip to Haiti. It sounds like you have been very busy. I enjoy reading the updates you post. The weather here in Ohio is very cold. It is icy and snowing, and everything is closed. I hope you feel better soon and get your voice back so you can keep practicing your Creole. I will keep you in my prayers. Good to read the update... Hope you are feeling better and are over the "crud" soon.